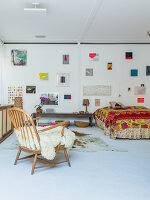 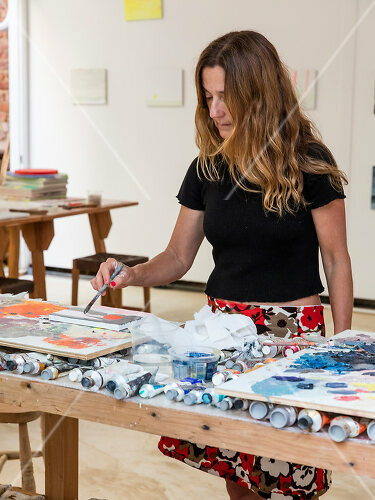 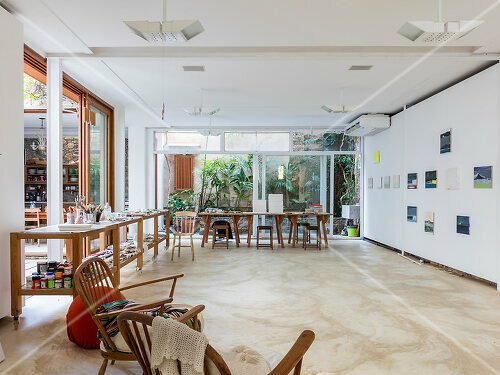 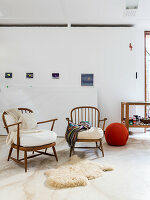 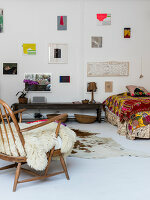 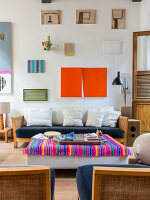 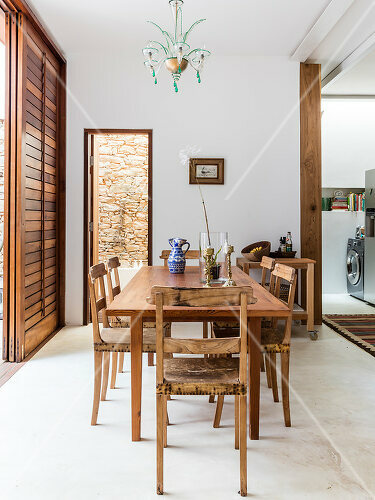 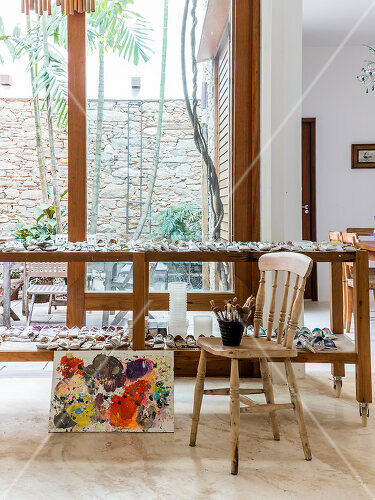 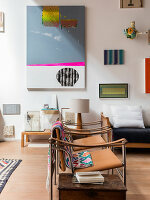 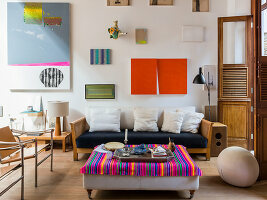 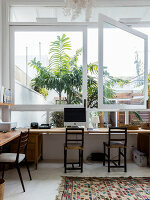 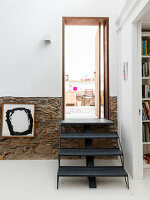 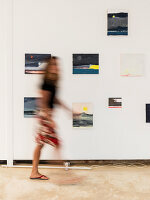 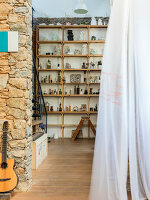 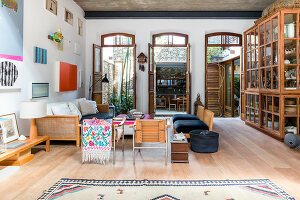 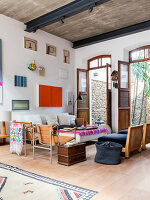 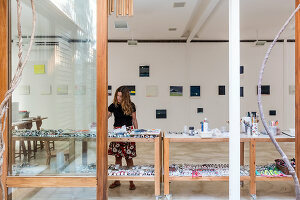 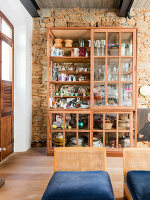 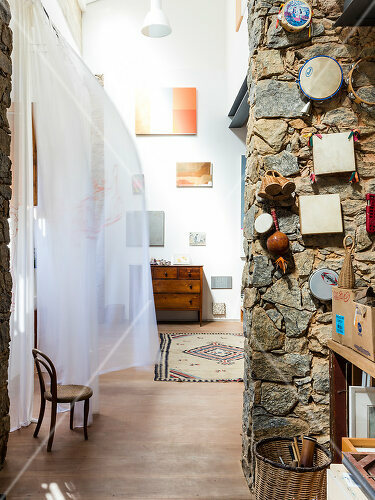 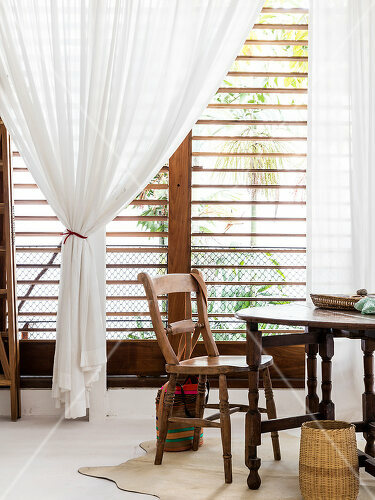 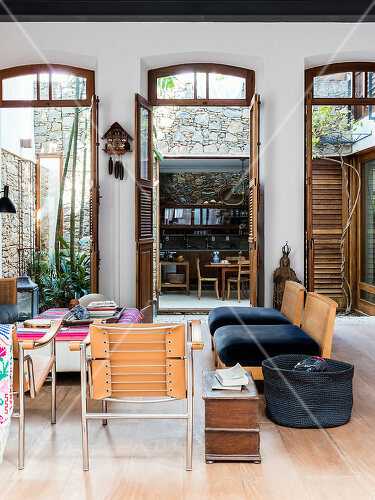 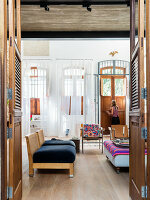 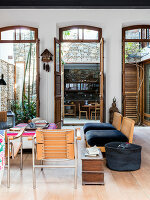 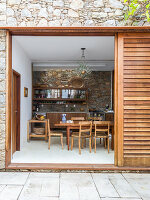 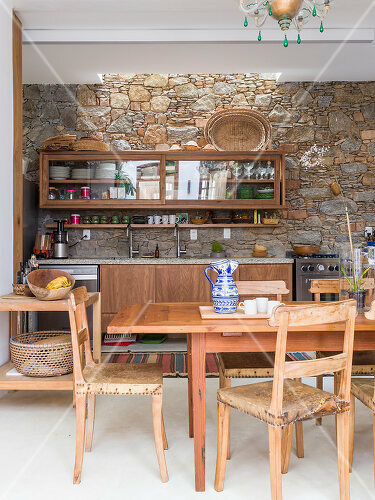 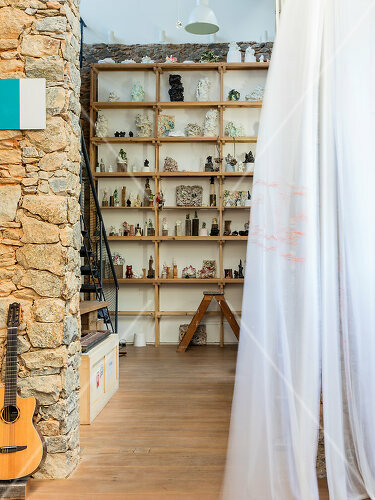 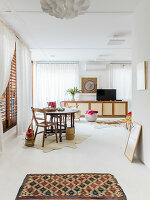 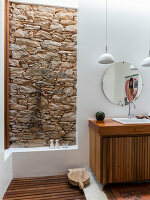 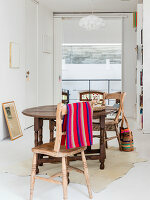 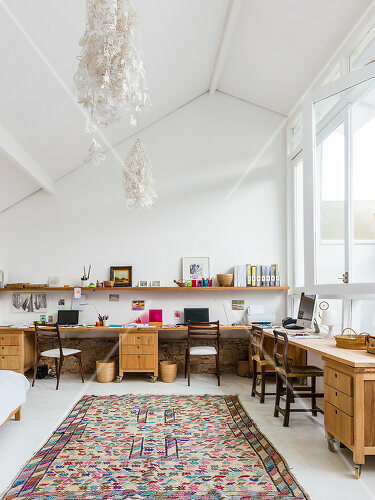 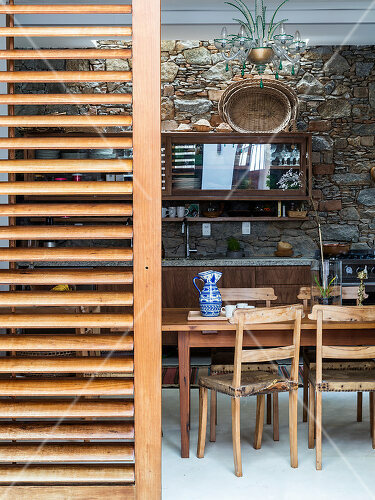 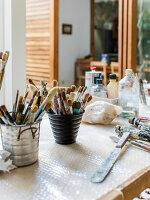 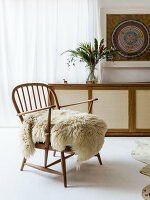 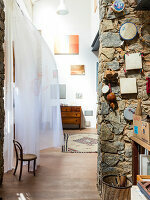 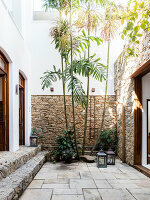 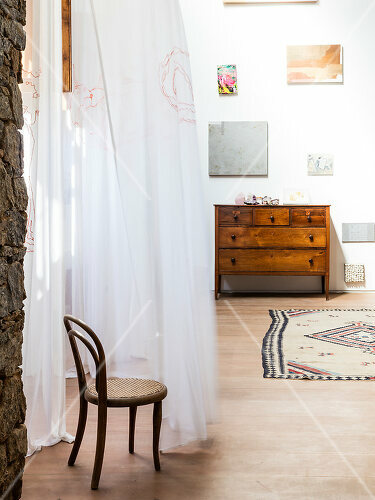 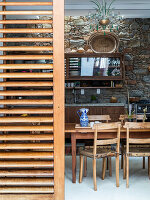 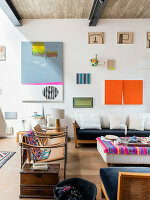 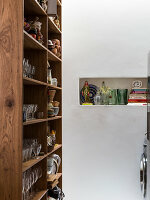 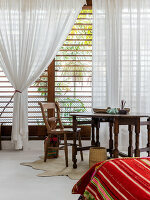 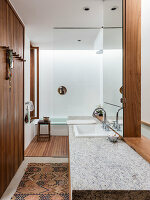 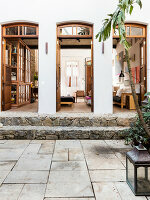 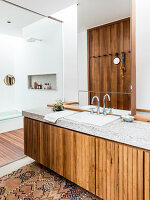 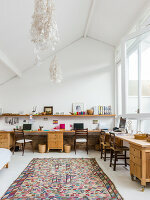 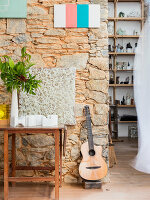 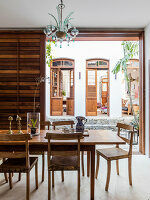 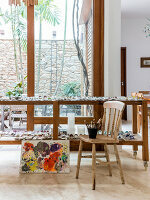 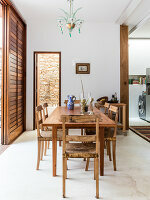 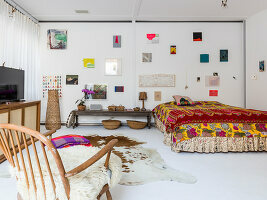 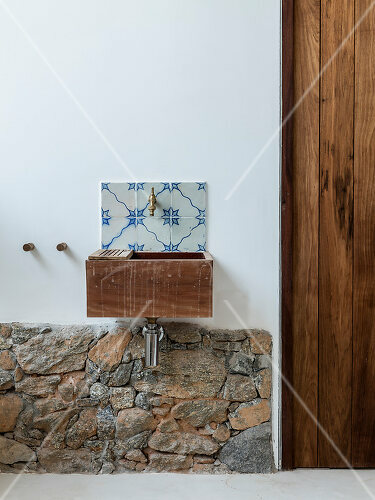 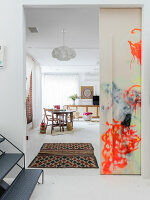 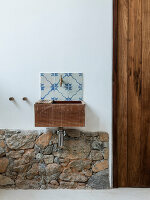 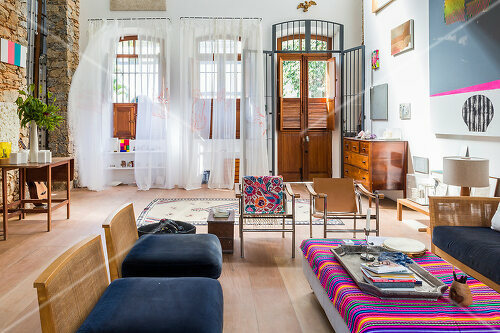 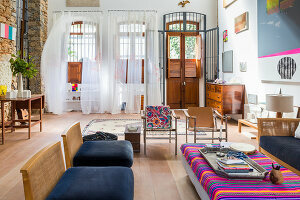 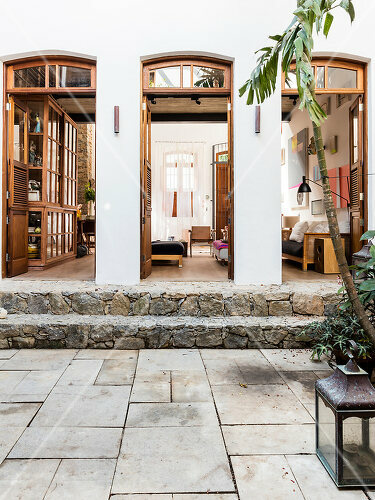 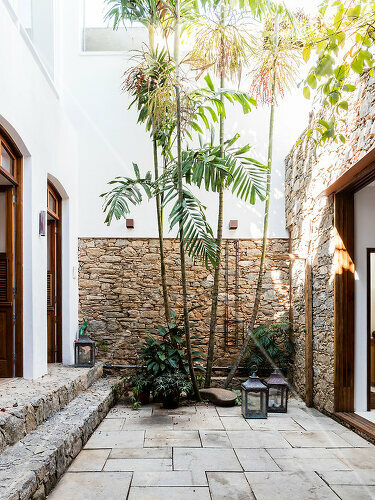 Next to a Botanical garden is the merged home and studio of Brazilian artist Gabriela Macahdo. Her space was uniquely created by tying to houses together. 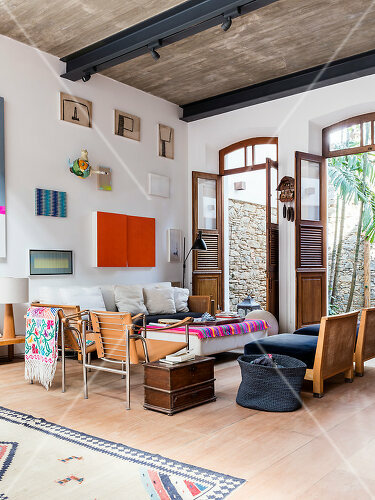 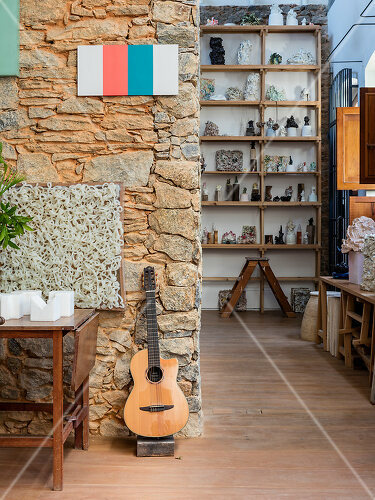 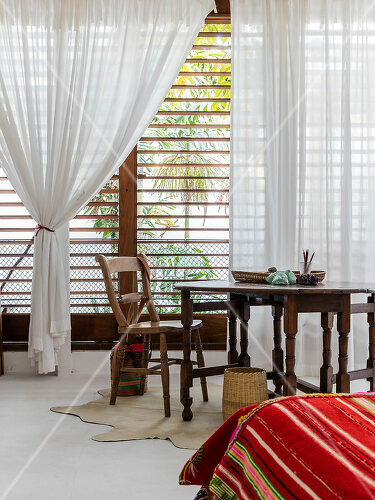 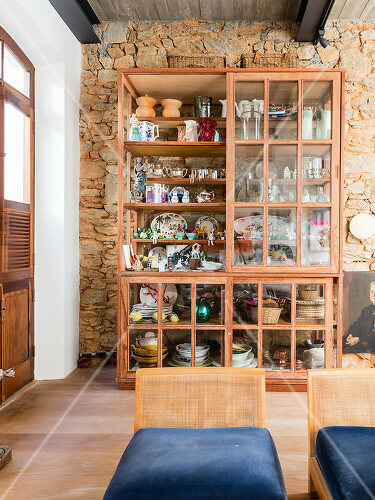 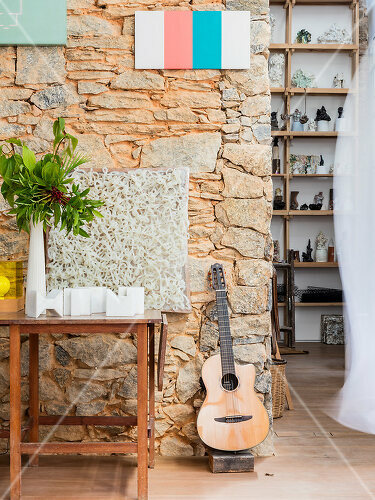 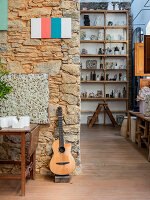 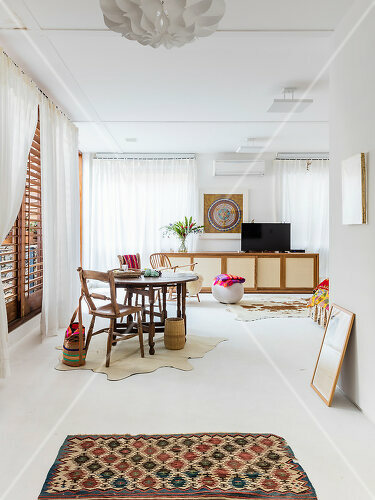 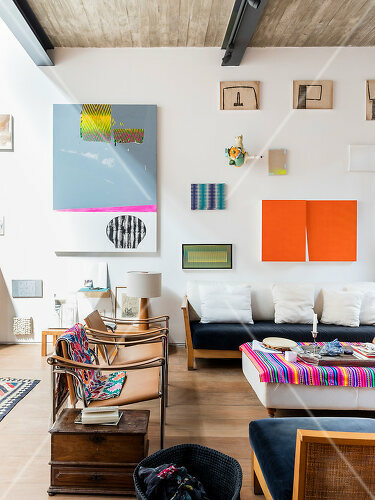 The interior home lively with bohemian eclectic style and the walls serve as the perfect gallery space for Gabriela’s work and those that she admires.